Rodney Rowbottom feels alone. His mother treats him like a baby and his father, a scientist at an installation called BAARMY, where crops are genetically modified, is too busy to spend time with him. At school, Rodney is stalked by the local bully, Ben Houlihan, and picked on because of his habit of fading. When Rodney meets Mrs Strangeways, his life changes. He discovers the reason for his fading and is able to visit the parallel universes Llandringodd and Llondieval. He also discovers that an employee of BAARMY, the mad Professor Nettleforth, has developed dangerous plants and is planning to release these onto the market. There are similar plants in Llandringodd called nards, from which Rodney has a narrow escape. Is Earth following in Llandringodds dark footsteps? While Llandringodd is closer to Earth's present, Llondieval is primitive, superstitious and cruel. When Rodney's friend Evelyn is sent back there, she's mistaken for a witch. Can Rodney save her? Wendy had two stories published by Lothian Children's Books, The Doolally Kid (2005) and The Boy Who Disappeared (2006). When these books were originally published they received excellent reviews and the former found its way into schools. After Lothian was taken over, Wendy decided to self publish. The venture commenced with Angel of Fire (2013). Four sequels have now been released: Sophies Return (2014), Nemesis (2014), Spooks (2015) and Finding Cathcart (2015). 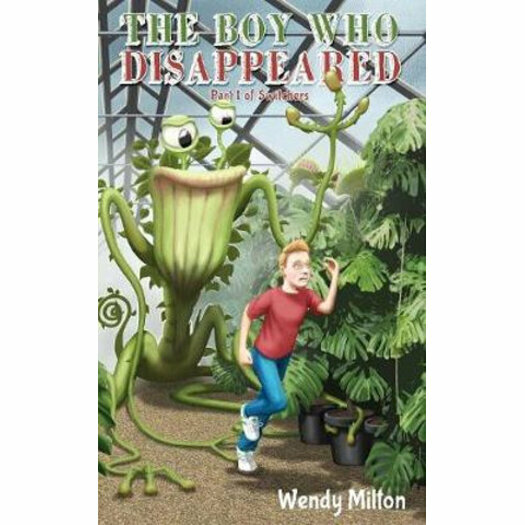 In 2015 Wendy also republished The Doolally Kid and in 2016 The Boy Who Disappeared. The latter is now Part 1 of Switchers and Wendy has added Part 2, Rafferty's Rules. Also released in 2016 is The Enchanted Urn, a tale of a boy's encounter with a very different dog. Wendy graduated from the University of Newcastle and went on to complete a Master of Arts degree at the University of Sydney. She taught HSC English at Newcastle Grammar School until 1983, in which year she left to live and work in Sydney. Currently living in Rozelle, she's written eleven children's books, six of which are on the market. The 2017 releases will bring her total to nine. Wendy plans to publish two more books next year.